As I mentioned in my last post, the sunsets while I was on holiday were pretty spectacular – even more so when the sky was scattered with clouds. 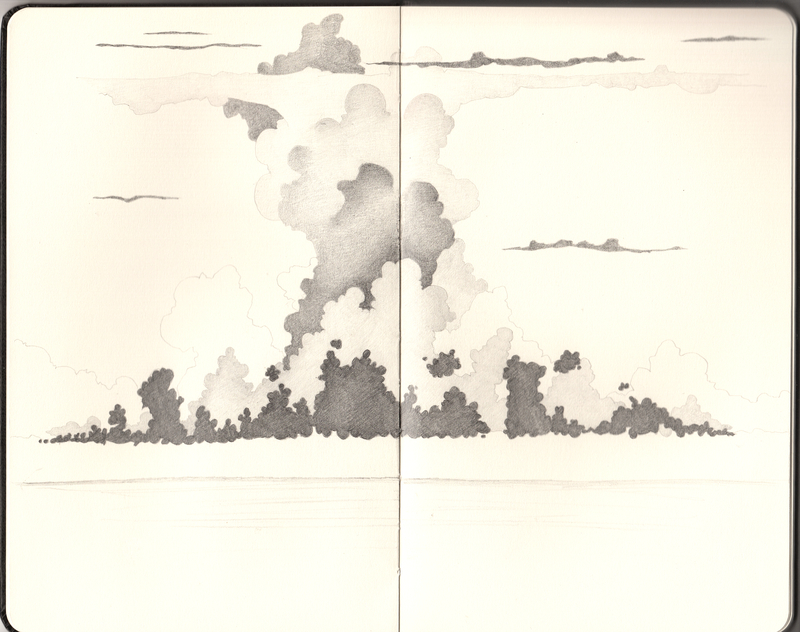 So here’s another big pile of clouds inspired by another Indian Ocean sunset. Absolutely gorgeous! How do you draw clouds do you just get an outline in your head then shade them in?